Join the Fall League – Registration is Open! The United States Youth Volleyball League is excited to announce that registration for all 2018 Fall leagues is open! Come join us this fall for volleyball in your local community. To locate a league in your area try our zip code finder or use our city and state list to see if there is a program in your community:. Why should you sign up for USYVL? Our goal is for each child to learn and play volleyball. Our programs ensure that each child has the opportunity to actively participate as a member of the team. No prior volleyball experience is required. A volleyball instructor is on site for each practice and game. We require that every site at the beginning of each season create teams that are evenly balanced. It is more fun when teams are constructed with equal ability. Our four-person format allows kids to play every position. Teams are grouped by four age ranges: 7-8, 9-10, 11-12, and 13-15. Ages are defined according to how old participants are on November 1st of the current year. All teams in the league are coed. We create a positive environment based on mutual respect rather than a win-at-all-costs attitude. 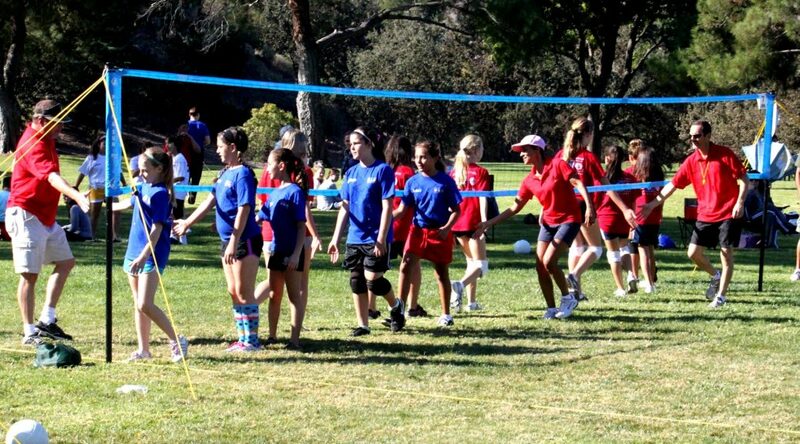 Our programs are designed to instill good sportsmanship in every facet of USYVL. Register for fall youth volleyball today!